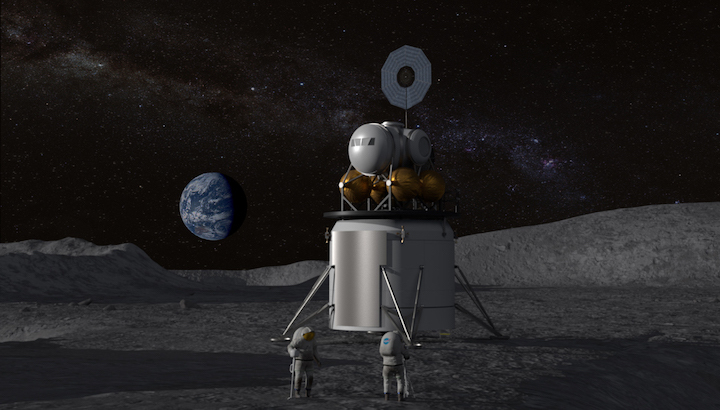 According to the solicitation, NASA will fund industry-led development and flight demonstrations of lunar landers built for astronauts by supporting critical studies and risk reduction activities to advance technology requirements, tailor applicable standards, develop technology, and perform initial demonstrations by landing on the Moon. When NASA again sends humans to the Moon, the surface will be buzzing with new research and robotic activity, and there will be more opportunities for discovery than ever before. Private sector innovation is key to these NASA missions, and the NextSTEP public-private partnership model is advancing capabilities for human spaceflight while stimulating commercial activities in space. The President’s direction from Space Policy Directive-1 galvanizes NASA’s return to the Moon and builds on progress on the Space Launch System rocket and Orion spacecraft, efforts with commercial and international partners, and knowledge gained from current robotic presence at the Moon and Mars.